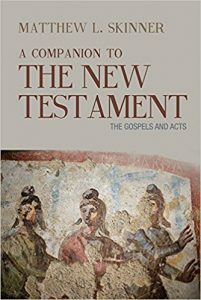 Summary: The book of Acts can prompt us to ask what makes for authentic Christian witness, rooted in the discoveries and amazement of Easter. Acts describes Jesus’ followers as his “witnesses” (Acts 1:8), and their words and activities help us reflect on the various ways in which we enact or speak testimony about the new realities God has declared. Preachers who work with Acts during Easter might look at the lectionary’s assigned texts as examples of how believers can understand who they are and what they do.